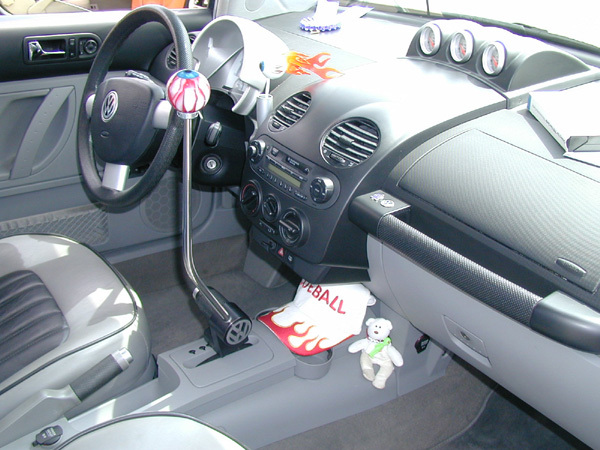 June 19, 2004 - "cueball's gearshift"
what's up with that stick shift? is it functional?? Well, as you can see, Cueball is an automatic, so it's just an extender on the gearshift. I think the look is supposed to be reminiscent of a 50's hot rod. The retro nb experts could probably explain it better. I don't know if Earl runs with that on all the time or if it's just for show.